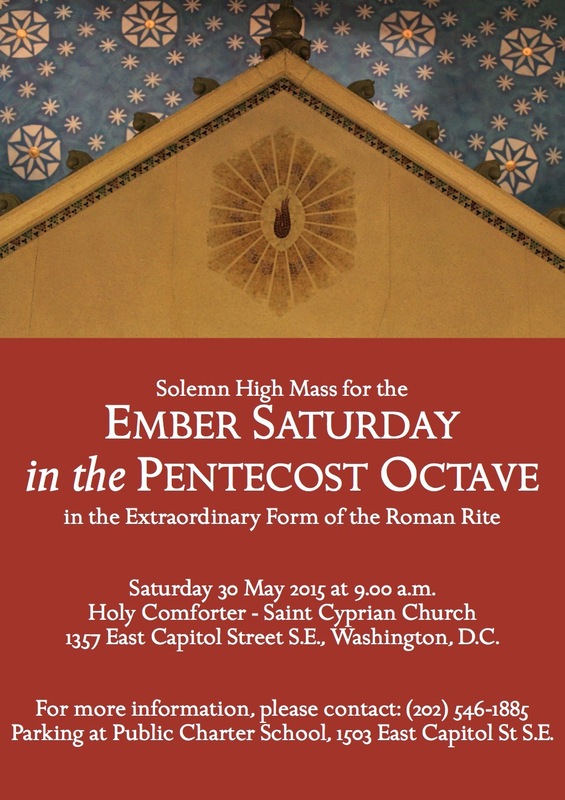 The Ember Saturday in the Octave of Pentecost will be marked by a Solemn High Mass in the Extraordinary Form of the Roman Rite at the church of Holy Comforter-Saint Cyprian in Washington, D.C. The parish, which is under the title of the Holy Spirit, will host the Mass on Saturday 30 May 2015 at 9.00 a.m. The music will be taken from the Gregorian Propers and Ordinary. More details are available here.